U.S. large-cap stocks melted to new record highs in July. And so far in August, the pattern looks set to continue. However, the risks to investors is rising with sentiment measures white hot, investor positioning extreme with very low cash levels and seasonality challenging. August through September is historically the worst two months of the year for stocks. Since 1980, the S&P 500 has fallen 0.1% and 0.7% on average during this time; the only two months of the year to show a negative return on average. Investors are ill prepared for any kind of downturn. According to the latest AAII survey of individual investors, folks are holding their lowest cash allocation since 2000 at a time when stocks are near historic levels of overvaluation, eclipsing the cyclically adjusted price-to-earnings seen heading into the 1929 market crash. Thanks to solid earnings, Nike Inc (NYSE:NKE) shares are up nearly 18% from their May/June lows and have now successfully extended over their March highs as well as the August 2016 high of $59.56. That returns prices to levels last seen in April 2016. A run at the all-time high of $66.95 set in December 2015 looks likely, which would be worth a 10%+ gain from here. Especially with management successfully seeing off a challenge by the likes of Under Armour Inc (NYSE:UAA), which has suffered a 66% decline from its late 2015 high. Seasonality will kick into gear heading into the fall as back-to-school shopping ramps up and parents shell out for fall sports season. We’ll also get an update on results on Sept. 26, with analysts looking for earnings of 49 cents per share on revenues of $9.1 billion. When NKE last reported on June 30, earnings of 60 cents per share beat estimates by 10 cents on a 7% rise in Nike brand revenues. 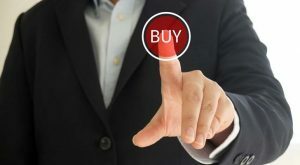 Morgan Stanley analysts recently updated their price target to $68, while Raymond James analysts initiated coverage on July 6 with a “Buy” rating and a $71 price target. Wal-Mart Stores Inc (NYSE:WMT) shares are enjoying success amid the general unpleasantness in the retail space — both for specialty retailers as well as big-box stores like Target Corporation (NYSE:TGT) — as the economic data suggests the U.S. consumer has pulled back. Real disposable income fell last month for the first time since July. And as a result, retail sales growth has rolled over sharply, slowing to a pace not seen since last summer. This price-sensitive environment is one in which WMT thrives. Shareholders are responding, pushing shares up and over early June highs near $80 to test above the $81-a-share level for the first time since February 2015. A run at the all-time high of $84.82 set in January 2015 would be worth a 5% gain from here. The company will next report results on Aug. 17 before the bell. Analysts are looking for earnings of $1.07 per share on revenues of $121.96 billion. Seasonality is a tailwind, with consumer staples — which I would suggest includes WMT on account of its competitive advantages — performing strongly between April and November. Gold mining stocks like Barrick Gold Corp (USA) (NYSE:ABX) are coming back to life — pushing prices back above the 200-day moving average for the first time since April — amid recent weakness in the U.S. dollar. Mired in a two-year-long consolidation range, ABX is breaking out of a smaller, five-month-long trading range and should be good for a run at the February/April highs near $20. That would be worth a near 20% gain from current levels. ABX will next report results on Oct. 25 after the bell. Analysts are looking for earnings of 19 cents per share on revenues of $2.2 billion. Barrick last reported on July 26, reporting earnings of 22 cents per share beating estimates by 5 cents. Revenues jumped 7.4% from last year as management pushed down the all-in sustaining costs of mining to $710 per ounce vs. $782 an ounce year-ago period. New Gold Inc. (USA) (NYSEMKT:NGD) shares are enjoying the same tailwinds ABX is enjoying, pushing above its 200-day moving average for the first time since January in what looks like the beginning of the end of a two-year-long downtrend from a high of $6.04. A challenge to that level would be worth nearly doubling from here, encouraged by the seasonal tailwinds gold prices enjoy between late July and early October. NGD will next report results on Oct. 26 after the close. Analysts are looking for the company to break even on revenues of $183.2 million. When the company last reported on July 26, earnings of 2 cents per share beat estimates by a penny on revenue growth of 2.9% from last year. Golden Star Resources Ltd. (USA) (NYSEMKT:GSS) shares are a more speculative play, trading below the $1-a-share threshold. But they look ready for a run at their February high, which would be worth a near 50% gain from here, to challenge resistance from a two-year-long sideways range. The stock is already well off of its late 2015 low of 14 cents per share. GSS reported earnings of 4 cents per share on Aug. 1 vs. a loss of 8 cents per share in the year-ago period as its cash operating cost per ounce for the first half of the year fell to $791; well below the upper end of prior guidance at $860 per ounce. Anthony Mirhaydari is founder of the Edge (ETFs) and Edge Pro (Options) investment advisory newsletters. Free two- and four-week trial offers have been extended to InvestorPlace readers. Article printed from InvestorPlace Media, https://investorplace.com/2017/08/5-stocks-to-buy-in-august-wmt-nke-abx/.